Fill in and submit the form below, and we’ll send you an email asking for you to confirm your membership. Simply click on the link in the email, and we’ll immediately send you your free coupon! We’ll continue to send you specials and coupons, as well as news and reminders so you can help keep your pet happy and healthy. Welcome to Town ‘N’ Country! 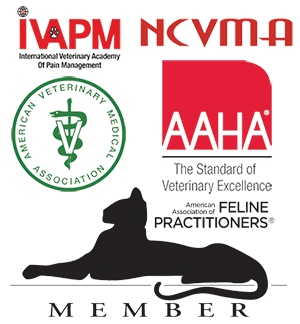 Town ‘N’ Country Animal Hospital is a full-service, AAHA accredited veterinarian hospital located in Burlington, North Carolina. 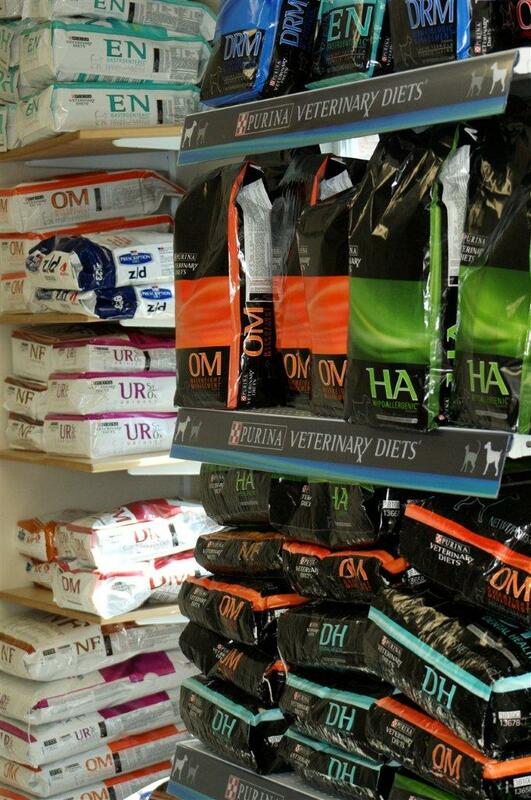 Your pets are our valued patients. Our goal is to give the best possible medical, surgical and dental care. Our state-of-the-art facility offers in-house ultrasonography, digital dental radiography, extensive anesthetic monitoring, and a comprehensive list of advanced medical care equipment. We welcome you to our clinic, and look forward to serving your pet – and you! PS We also invite you to join our Best in Show club, where you’ll receive specials and coupons, as well as news and reminders so you can help keep your pet happy and healthy. 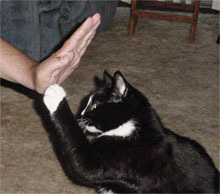 Before we start training our cats to do something or to stop doing something, we need to look at how cats learn. They don’t understand English, they can’t read books or attend lectures. They learn by experience. If the experience is good, they will try to repeat it. If the experience is unpleasant, they will try to avoid it in the future. They enjoy raking the furniture with their claws, so they continue to do it. But it’s quite a shock when they stick their nose in a candle flame, so they won’t do that again. What and how much to feed your pet? This is a question every pet owner must face from the moment they come into your home. 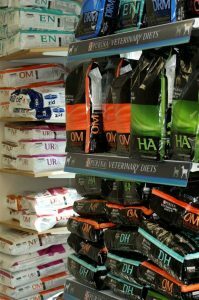 There are so many variables when it comes to feeding your pet, the most reliable source will always be your own pet’s veterinarian. By working together, we’ll be able to formulate what foods and treats will make your pet thrive. The kind of pet you have. They each have their own dietary needs. The age and gender of your pet. Your pet’s size and weight. The amount of daily exercise your pet gets. Specific breed, since some are more prone to allergies and other problems. Whether or not your pet has been spayed or neutered. The quality of food. Higher quality foods have fewer fillers and you feed less.